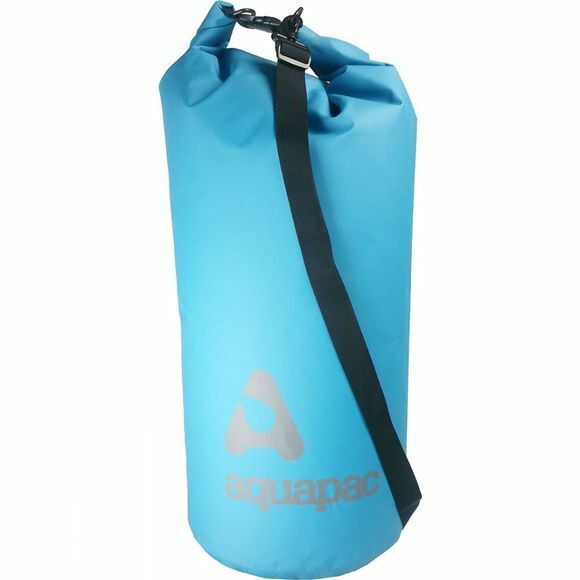 The 70-litre TrailProof Drybag is a no-nonsense drybag from Auqapac. Super-rugged construction. Built to last. Made from a tough 500-denier vinyl fabric, the drybag will withstand all the knocks you experience on the trail. It’s really simple to seal – just roll the top down three times. The bright acid green colour (some say yellow) means you can easily spot your gear amongst everyone else's, and it stops the bag from getting quite so hot in the sun.